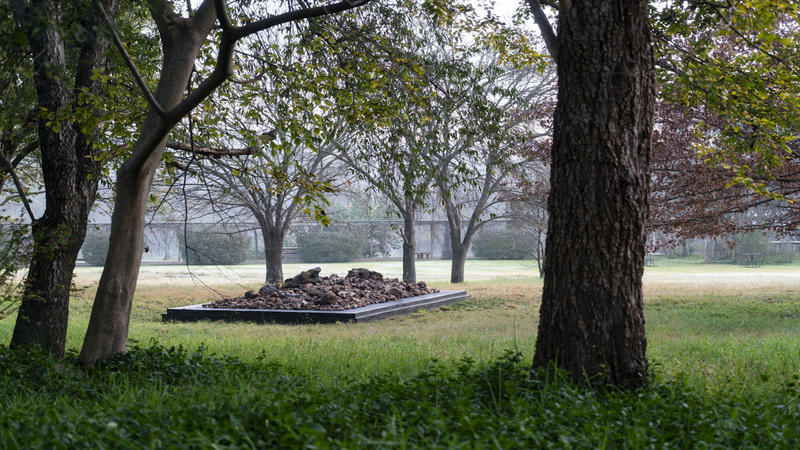 NIROX Sculpture Park is open to the public on weekends and public holidays. Visitors are invited to walk the park and experience the NIROX sculpture collection of works by diverse artists from around the world. Children under 12 free of charge. Kindly note that no food or beverages may be brought into the park. Pop-up restaurant NITA's Kitchen is operating out of the NIROX Pavilion on weekends and public holidays. Under chef Clive Roger from French Corner catering, NITA's is open for lunch and morning/afternoon 'meze' boards. NITA's offers sumptuous, wholesome salads from the harvest table, and a seasonal selection of mains from the kitchen, accompanied by focaccia from the wood-fired oven. NITA's cake of the day and vegan desserts are legendary. Bernie's Bar offers a choice of beverages sourced from the Cradle of Humankind - Flowstone Gin & Tonic Botanicals, Black Horse Brewery, Seed Cold-Pressed Juices, Aquamine mineral waters with a selection of local of wines & iced tea. No pets, balls, sports equipment or gazebos may be brought into the park, but do bring a picnic blanket if you so wish. All ages welcome. Children under 12 enter free of charge. Secure parking available at the venue. No food, drinks, pets, gazebos or sporting equipment may be brought in to the park. Picnic blankets are welcome. DOWNLOAD THE NIROX APP TO LOCATE THE SCULPTURES AND NAVIGATE THE PARK.